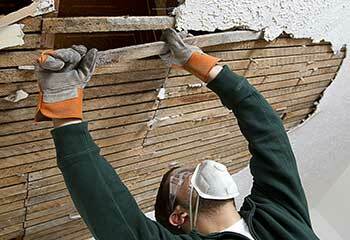 Our experts specialize in a wide range of drywall repair and remodeling services. If you want to have an area of your home painted, or you need some help dealing with water damage, we'll be more than happy to help. Check out our latest projects for some examples of our work. Customer Issue: Wanted to repaint her living room. Our Solution: Before starting out, we made sure to protect the electrical outlets and light switches with masking tape and used plastic foil to cover the furniture. We then proceeded to apply a primer to the ceiling and walls and painted over it once it dried. 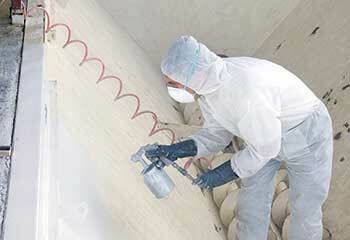 We then made sure there were no air bubbles and that the surfaces were completely smooth. 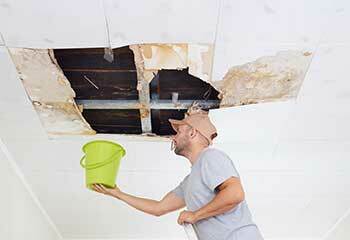 Customer Issue: Water-damaged drywall sections. Our Solution: Our workers removed the affected drywall sheet and started checking the wall for moisture-caused damage. Fortunately the damage wasn't extensive. We used an air mover and a dehumidifier to completely dry out the area. Then we hung a new moisture resistant drywall sheet in place of the old section and patched everything up with joint compound. Customer Issue: Wanted to have popcorn ceiling texture removed. Our Solution: After checking for asbestos and getting the all clear, our team scraped the stucco material off the ceiling. Once everything was removed, we patched up the problem areas and sanded the area to achieve an even and smooth finish.